Another plant hero of mine, Helen Dillon, gardens in Dublin; it is many years since I visited her garden but it is on my list – next time I’m in that fair city I must plan my trip to coincide with when her garden is open to the public (www.dillongarden.com). Her book ‘On Gardening’ is a collection of her garden journalism, arranged month by month so that you can either read your way through the year from January-December, or dip in to suit the calendar; however you read her, Helen Dillon’s take on gardening is wonderfully witty and perceptive. For instance, “Handling plants is like handling puppies or babies. You must learn not to be frightened of them”. Now I’ve not handled many babies or puppies, but I have handled many, many plants and I know exactly what she means – there is something nerve-wracking about tipping a carefully nurtured treasure out of its first size pot and preparing it for potting on. You fuss about the compost mix, too gritty, not gritty enough – seek advice from the experts, etc etc – whereas sometimes the best thing to do is take a steadying breath and go for it! Mind you, plants don’t bite and you won’t get reported to Social Services if you don’t quite get the compost mix right. Anyway, if you can obtain a copy of this book you won’t be disappointed – my edition has a picture of Helen on the front with one of her favourite gardening tools, and this is one thing at least I can say I have in common with her – we both use a black builders’ bucket for transporting all our gardening ‘stuff’. 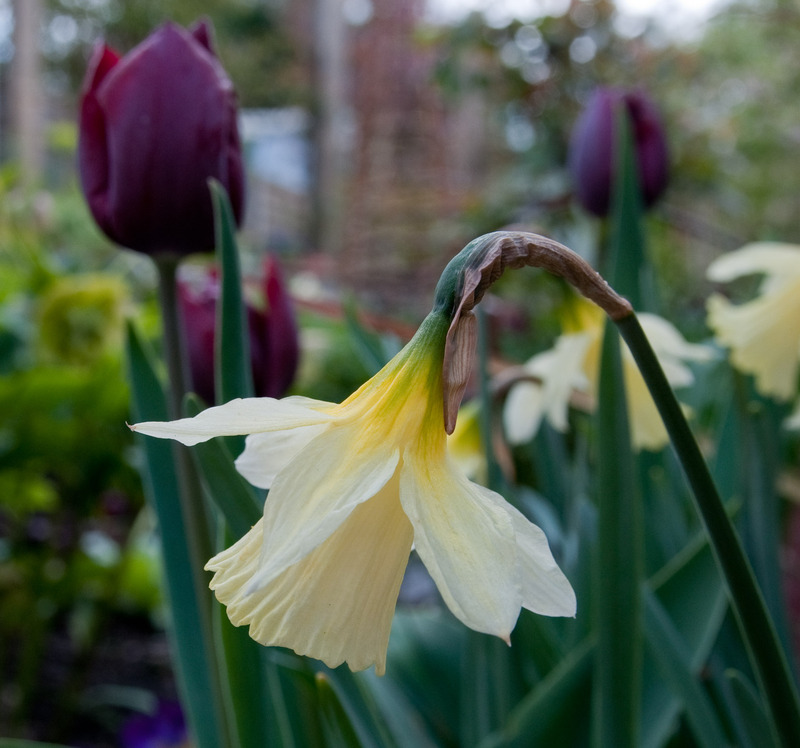 I’ll finish this post with another quote from Helen, which I’m sure is shared by all gardeners who open their plot to the public – ‘Let us be quite clear about it, taking cuttings in somebody else’s garden is stealing”. Quite – very often, if you get chatting to the gardener, and ask nicely, they will have a piece already rooted they will pass on to you – we gardeners are generous like that. This entry was posted in Out of my garden, Recommended reading and tagged Dublin, garden visiting, gardening, Helen Dillon, Recommended Reading. Bookmark the permalink.